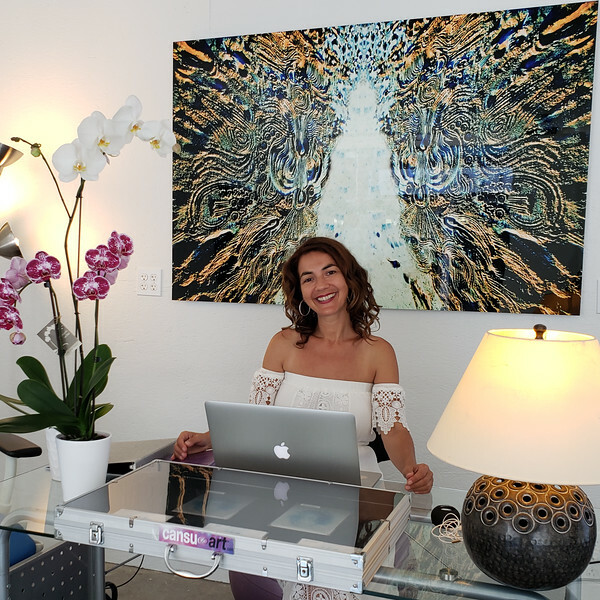 Celebrated as a “true original” by art professionals and art lovers, Cansu Bulgu is an award-winning artist, visionary and mentor. She is also a published photographer, cartoonist, writer and poet. While enjoying a highly successful career in Information Technology, Cansu felt a powerful pull of Life towards a new inspired expression and a sense of completion at her tenured position in 2010. 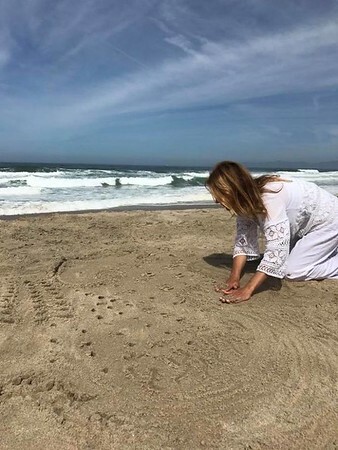 In a meditative state for nine days, she began drawing in sand in Kauai, Hawaii, the first series of her Transformative Presence Art with the Elements and Light. 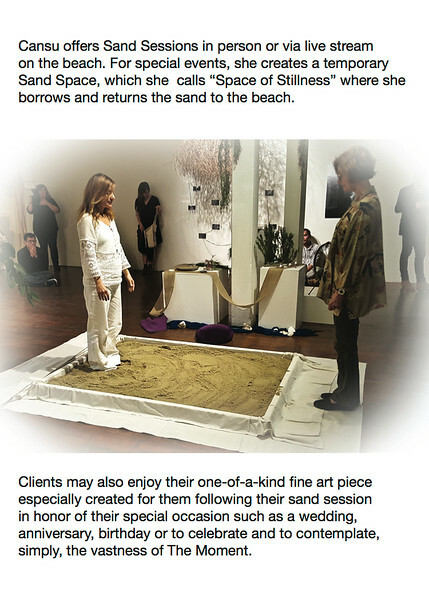 Cansu creates her truly one-of-a-kind contemporary sand art through “Stillness” without any thought or pre-visualization. Both Californians locally and international clients are drawn to this special oasis for the soul for their own personal reasons. Like so, Cansu’s work attracts a wide range of clientele from private collectors to interior designers and hospitality giants such as MGM Resorts International, businesses to individuals looking for a unique gift to celebrate their special occasion or a luminous meditative piece to appreciate simply the vastness of the Moment. Viewers quickly acknowledge, almost without exception that the value of this work transcends its established material value or widely admired esthetics and offers a shift in perception, and ultimately effortless transformation - priceless! Mysterious and familiar, beyond words, time or space, Cansu∞Art Gallery embraces all who enter this sacred space.